Ben Gurion Airport: There may be crippling strikes, constant davening, and 16 bags per person, but El Al this week succeeded in dislodging United Airlines as America’s favourite airline. In a poll conducted by the World Wrestling Federation, El Al took top spot for customer service, ahead of previously lovable United Airlines, whose staff, it emerged, are trained in Krav Maga. 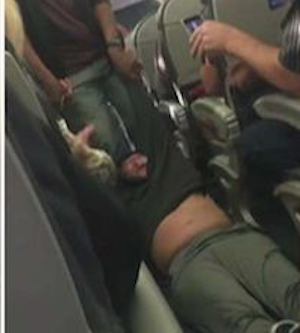 In violence not seen since Saving Private Ryan, a man was ripped out of his seat and schlepped down the aisle. Speculation that the doctor had removed his seatbelt before the seatbelt sign was turned off proved untrue as his seat was soon filled by trolley dolly Britney, who was, ‘like, late for her shift and had, like, a party to go to’.